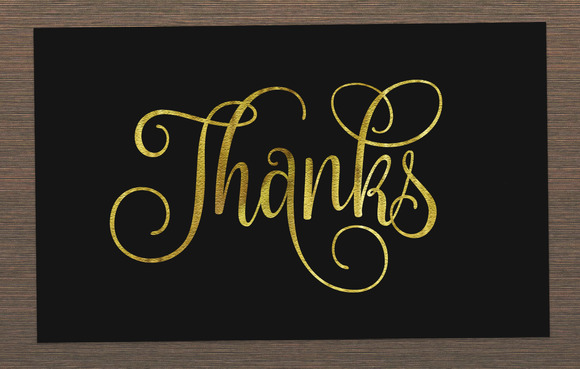 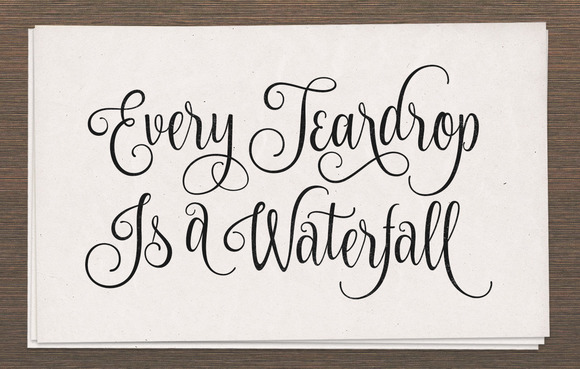 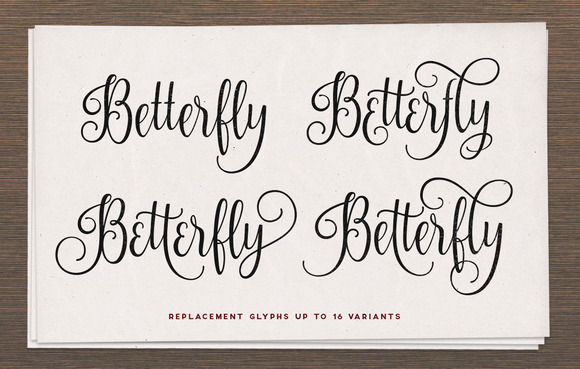 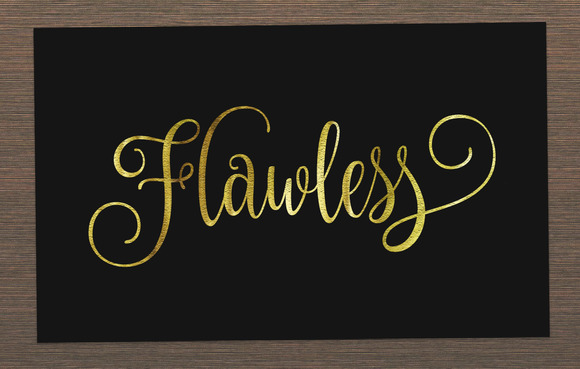 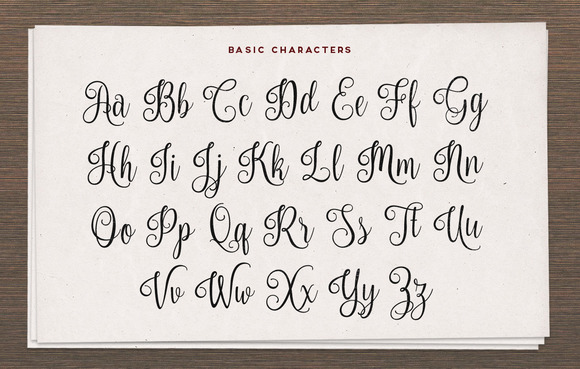 Nouradilla is a beautiful script font created by the talented MikroJihad. 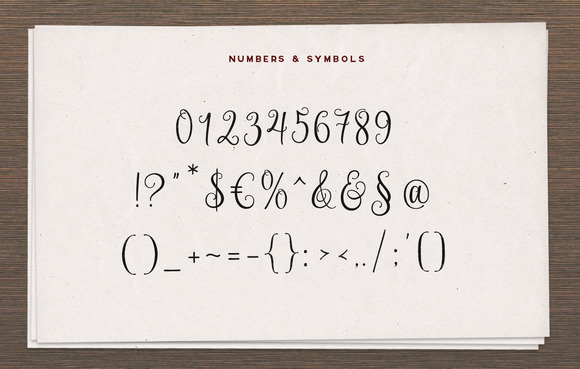 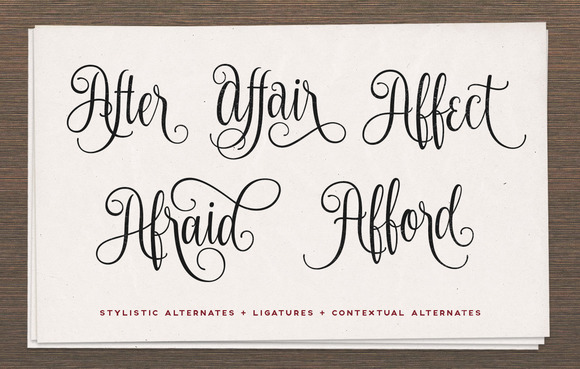 Nouradilla is an experimental modern calligraphy font. 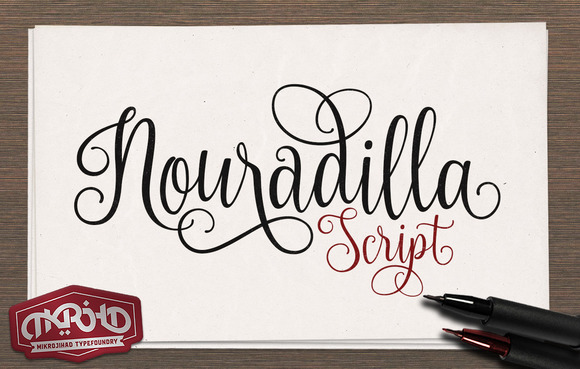 Because of the huge variety of characters you can re-use Nouradilla over and over and come up with something unique every time.